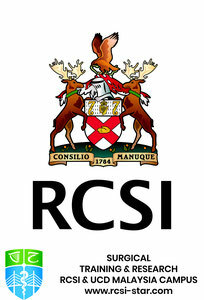 BASIC SURGICAL SKILLS COURSE - rcsi-star's JimdoPage! The Basic Surgical Skills Course is held in Malaysia at least three times a year. It is run at RCSI-UCD Malaysia Campus, Penang or at UNIMAS, Kuching, Sarawak. Surgical trainees who are starting Basic Training in their first year. One month (exactly) before course date commencement or when 16 candidates accepted. EURO 400.00 for Malaysians only working with the Government of Malaysia. Please submit proof of employment ( ie Letter from Head of Department) and nationality at time of application.